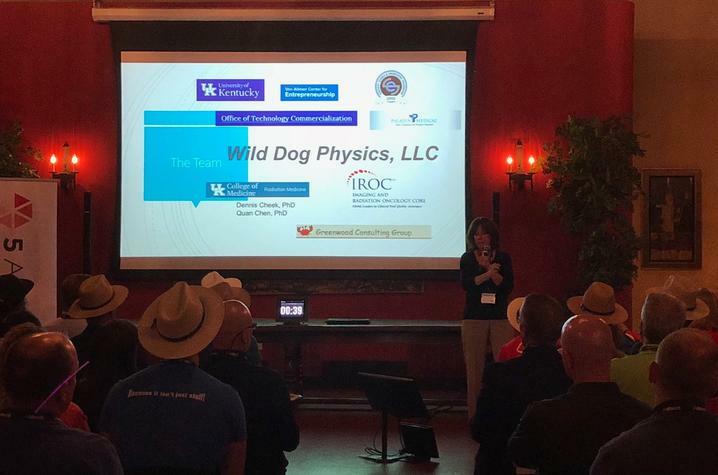 LEXINGTON, Ky. (July 17, 2018) —​ University of Kentucky Markey Cancer Center researcher Janelle Molloy recently took home the top prize of $1,000 for her early stage startup company, Wild Dog Physics LLC, at the 5Across pitch event. The event was co-sponsored by Alltech and Awesome Inc. and held at the Alltech Distillery as a part of Lexington Entrepreneurship Day, with Kentucky Lt. Gov. Jenean Hampton participating as a member of the judging panel. Molloy, a member of the American Board of Radiology, is the company’s founder as well as a noted clinical medical physicist, researcher and professor in UK's College of Medicine. She previously held faculty appointments at the University of Virginia and Mayo Clinic. 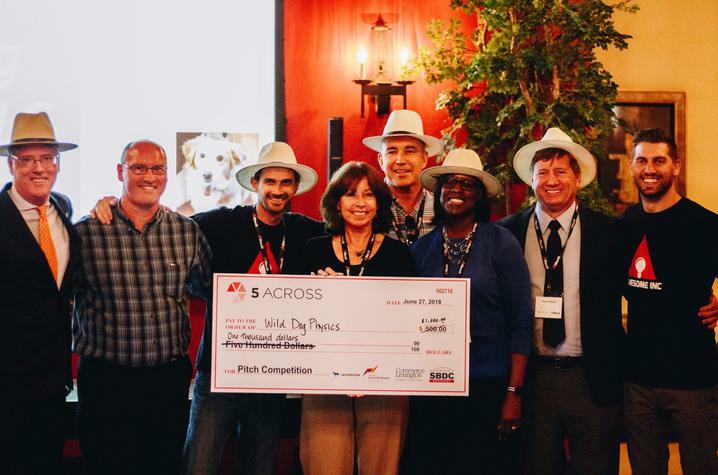 She is also a UKAccel participant, a program created and supported by the Von Allmen Center for Entrepreneurship, part of UK's Gatton College of Business and Economics, and UK's Office of Technology Commercialization. Radiation therapy often is an effective method of cancer treatment. Radiation treatment requires complex equipment and a team of skilled health care providers. Medical accelerators aim beams of high energy particles at tumors to destroy or damage cancer cells while avoiding damage to important healthy normal tissue. Medical physicists are clinically trained professionals who are critical team members, ensuring this equipment operates with precise measurements within the accuracy of a human hair. While treatment protocols vary, many cancer patients often receive radiation treatments several times per week for many weeks. Most patients receive radiation treatments at a hospital or cancer treatment facility. Wild Dog Physics LLC is in the very early stages of creating a revolutionary approach to cancer care through the QA Solver. The QA Solver is anticipated to be a more precise and efficient cancer care tool by overcoming several nagging challenges to top-notch cancer care. The QA Solver is a value-added medical device and professional support service. It provides faster service by reducing work time from about eight hours to 30 minutes, while providing data that is better, more complete, automatically analyzed and totally regulatory compliant. This technology also is expected to provide substantial cost efficiencies by substituting one device for many, requiring fewer skilled staff members to perform a treatment, providing higher quality machine performance, and overall enhanced treatment.